Everyone has sewing fails, but I think I have more than other people. My impatience grows as I get closer to the end of the project. I get distracted and then I make a terrible mistake. 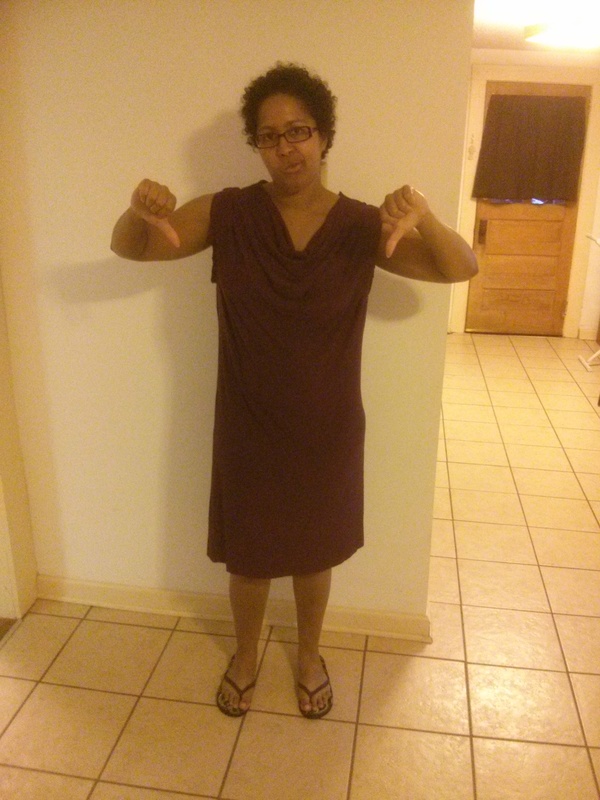 One sewing fail is a Simplicity 1716 dress. I was feeling good about it: a slinky purple sleeveless dress with a cowl neck. I cut the size according to my measurements. Things were going well until I sewed the armhole bands on inside out, using the triple stretch stitch twice, so tightly that it was impossible to unpick. I tried on the dress (way too late) and realized that it made me look like a giant purple rectangle. I was so angry that I stuck it in a drawer. I didn’t try to fix it. I couldn’t bear the thought of trying to wrestle with the seam ripper. 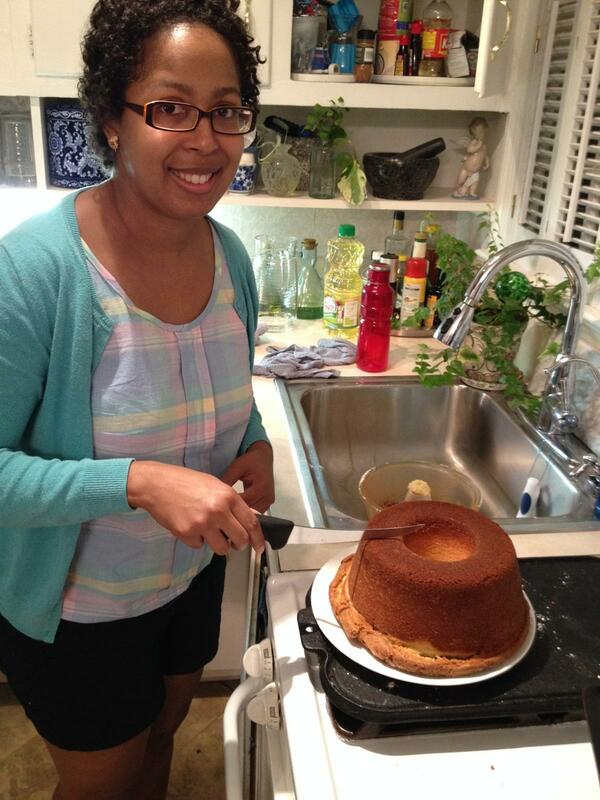 Another sewing fail that I have is the Colette Sorbetto. My first version fit a little weird, but I went ahead and made the same size again with no adjustments…after I gained some weight. What was I thinking?? The bias binding, made from the same fabric as the blouse, started to unravel after I applied it. The bust darts are not pointing at the right location, as I didn’t know about relocating bust darts (and where they were supposed to go) at that point. I took that shirt on vacation with me and I wince every time I look at the photos. The following photo is not so bad, but really, it was bad. I look happy, but my shirt is crappy. Dresser drawers could hardly close. Baskets of laundry overflowed onto the carpet. Outerwear hung on the chair and laid on top of the bureau. The mess was all I could see. I could not hide the mess because there was nowhere else for it to go. This is not going to be one of those posts that refers to those anti-consumerism, pro-minimalism books. I haven’t read any. This is me dealing with a problem that has been developing over time. Flashback story time: Since Hurricane Katrina, I have had a hard time getting rid of any of my belongings. I lost the majority of the things I owned in that storm–I went forward with only what fit into my backpack for the evacuation, which I thought would last a weekend. I returned home after a few months. I’d gained weight from all of the stress eating and I had the shopping budget of a graduate student on a small teaching assistantship stipend. I had but a few ill-fitting garments to my name. Every time I have moved over the past ten years, I have gotten upset about throwing away or donating anything: papers, letters, clothes, books, gifts that I didn’t like and couldn’t use, and so on. Stuff became me. Cleaning my room or apartment was physically and emotionally exhausting. Over the past couple of years, I have gotten much better about letting my belongings go when I don’t need them anymore. I don’t feel a need to hold on to clothing that doesn’t fit anymore or to craft supplies I can’t use anymore, specifically. So, during a recent weekend, I told myself that I would rid myself of the majority of it and I would feel better. I chose zones to work through: bureau, shorter dresser, closet, storage bins. I gave away yarn to knitters and crocheters. I put clothes that are too small for me (most of what I had) in bags to send to Goodwill, except for a few items that a friend wanted, which I gave to her over the weekend. 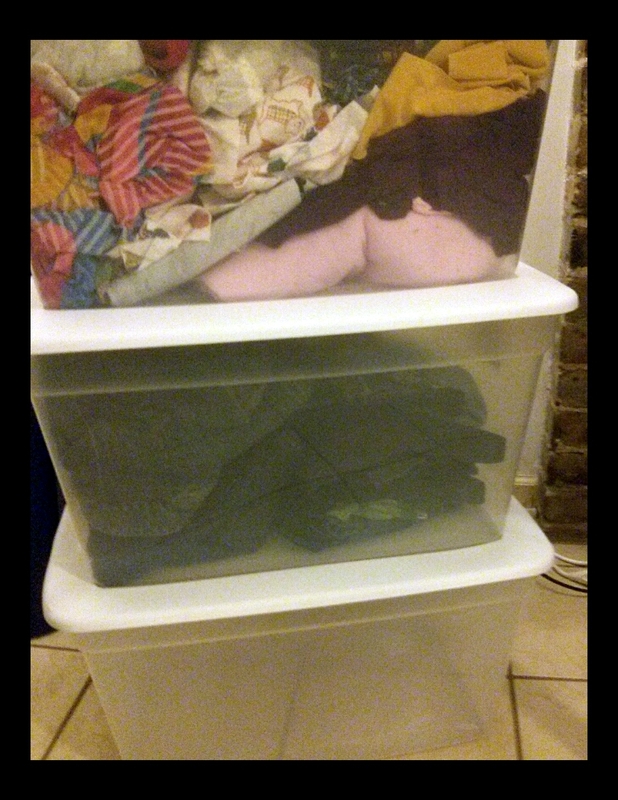 I culled the scraps from my fabric storage area and put them in a separate bin so that I could have a better idea of how much dress/skirt/blouse yardage I had. (Turns out, I don’t have a lot. It was mostly scraps.) I plan on using the remnants/scraps for bias binding, small craft projects, and stuff for babies. The top bin contains my scraps. 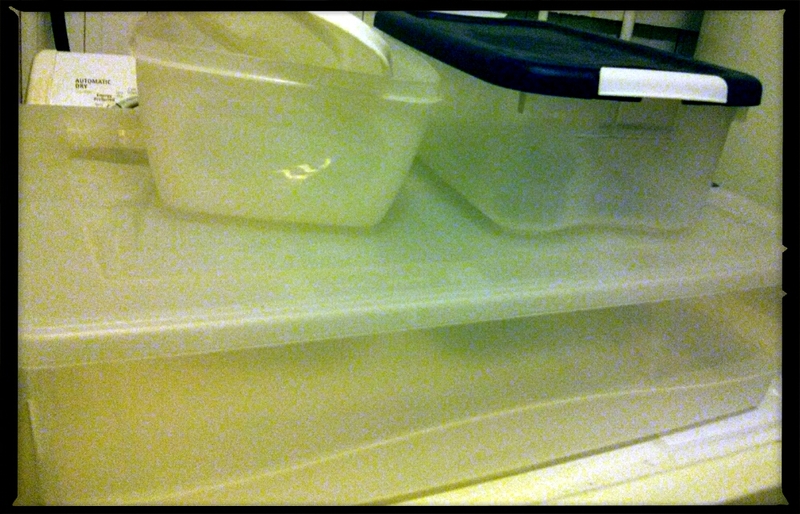 The middle bin contains a few too-small items that I’m saving for later. These used to hold knitting supplies. Not pictured: multiple bags of clothes destined for Goodwill, multiple bags of rags and tiny scraps. I felt a huge sense of relief when I was done. Everything was organized. I could see what items of clothes I needed and could shop or sew accordingly. I wasn’t using brute force to shove a pile of t-shirts into a drawer that’s already filled to the brim. I don’t need to hold onto items that I can’t or won’t use now, or in the future. I had a lesson at Sew Fabulous, a sewing studio, recently and I thoroughly enjoyed it! Flashback: I had a Treat Yo’ Self moment and bought myself a serger (a Brother 1034d) when it was on sale around Christmastime. After I got it, I read the entire manual in preparation for using a serger for the first time. Reviewing the threading diagrams confused me. (“What is that square part? Is it that square part, or the other square part? It’s all a bunch of lines!”) I needed someone to show me. I made an appointment for a private lesson at Sew Fabulous. Heather at Sew Fabulous is awesome! She is an extremely patient teacher. She started the lesson by having me examine the way it was threaded, then had me unthread it and rethread it a few times. She gave positive feedback along the way. After we were done rethreading and sewing samples with different tensions and stitch widths, I felt that I had a much better understanding of the machine and was less intimidated by all of the levers and metal bits that the threads go through. I’m looking forward to having faster, more professional finishing on my future garments. Simple patterns are my favorite. I dislike how RTW features so much fussiness: spangles, beads, embroidery, studs, and other bits and bobs are distracting and unattractive, especially by the time the clothes hit the sale rack. I love plain clothing with simple lines. Unfortunately, simple, classy, plain clothing in RTW seems to cost way too much for the quality and fit. One of my goals with sewing is to fill my closet with skirts, tops, and dresses with classic style lines, without random frippery. I want to make tops and bottoms in solid colors, so that I can mix and match with the prints that I have. New Look 6053 fits the bill for simplicity. It has straight-skirt and A-line-skirt options in multiple lengths, and the fabric types listed are varied, from casual chambray to fancy silks and “silk types” (What does “silk types” even mean? It’s so general.) I can make skirts for work and for the weekends with this pattern. It would be interesting to try it in different types of fabric and see how different the effects are. My first draft is in a quilting cotton. I’m attempting to go through my stash, which isn’t very large, but I want to make sure that I use the fabric that I bought when I was first learning to sew so that I can buy nicer garment fabrics in the future without guilt over clutter.